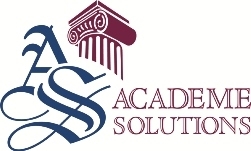 Academe Solutions' Residence Life Management System is specifically designed for PeopleSoft Campus Solutions. Our product offers institutions significant advantages because it is fundamentally integrated with Campus Solutions and based on PeopleTools technology and architecture. The Residence Life Management System resides as a module within PeopleSoft Campus Solutions and is fully integrated with Campus Community, Admissions, Student Records and Student Financials. No interface is required, which allows administrators and staff to effectively and efficiently manage student housing and judicial operations in a single, integrated system with other areas of student administration. Developed specifically for PeopleSoft Campus Solutions. The system is built entirely on PeopleTools technology. Resides directly in PeopleSoft Campus Solutions. It is a module within Campus Solutions, rather than an interface from an external application. This is what sets it apart from third party software. Other packages interface to PeopleSoft Campus Solutions, while our system integrates with PeopleSoft Campus Solutions. Eliminates hardware costs and reduces risks associated with ongoing third party interfaces to and from PeopleSoft Campus Solutions. Integrated with PeopleSoft Campus Solutions applications (Campus Community, Recruiting & Admissions, Student Records, Student Financials, and Self-Service). All Residence Life activities are consolidated into a single student enterprise system with the other areas of Student Administration. Residence Life staff will not be required to maintain two sets of student data and perform updates in two separate databases. Provides real time, up to the minute housing details in a single integrated system. Changes to data appear instantaneously throughout Campus Solutions. Residence Life table structure resides in same database server that houses other PeopleSoft table definitions. Utilizes same middleware as PeopleSoft Campus Solutions. Presentation layer is identical to that used in PeopleSoft Campus Solutions. It comprises a navigational structure, components and pages, which mirrors both the look and feel of PeopleSoft Campus Solutions. When a user signs into PeopleSoft Campus Solutions they are also signing into the Residence Life Management system. Residence Life Management System security is identical to the delivered security options of PeopleSoft Campus Solutions. It takes advantage of Permission Lists and Roles, Academic Structure Security and Security Views. Our integrated Residence Life Management System is priced to be competitive and accessible to all institutions. Our pricing structure is flat, simple and straightforward. It is not based on size of institution or number of beds, rooms, etc.